There are two components to TrevorC2 – the client and the server. The client can be configured to be used with anything. In this example it’s coded in Python but can easily be ported to C#, PowerShell, or whatever you want. Currently the trevorc2_client.py supports Windows, MacOS, and Linux. You can always byte compile the Windows one to get an executable, but preference would be to use Windows without having to drop an executable as a stager. trevor2_server.py – edit the file first, and customize, what website you want to clone, etc. The server will clone a website of your choosing and stand up a server. This server is browsable by anyone and looks like a legitimate website. Contained within the source is parameter that (again is configurable), which contains the instructions for the client. Once a client connects, it searches for that parameter, then uses it to execute commands. trevor2_client.py – all you need in any configurable option is the ability to call out to a website, parse some basic data, and then execute a command and then put the results in a base64 encoded query string parameter to the site. That’s it, not hard. trevor2_client.ps1 – powershell implementation of trevor2_client.py, this allows you to use native PowerShell to interact with Trevor2_Server. First edit the trevor2_server.py – change the configuration options and site to clone. Next, edit the trevor2_client.py or ps1 – change the configuration and system you want it to communicate back to. 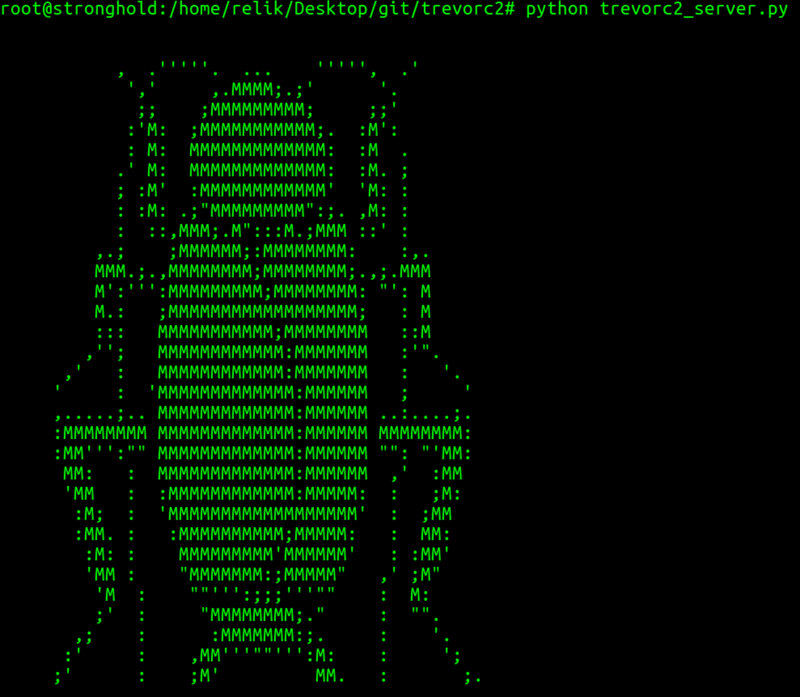 TrevorC2 supports the ability to handle multiple shells coming from different hostnames. The way TrevorC2 works is it will identify new hostnames as sessions. You can interact with the sessions once you execute a command. If you have multiple sessions, you can type a command and interact with that session based on the session number stored globally. When first starting TrevorC2, you can type help or ? for additional information. Basic command usage is “list” which will list any active shells or none at all, or “interact <session_id>” to interact with the shell you want. You can always type back/exit within a shell, it will still remain active and not actually kill the shell. Web Traffic Generator – A quick and dirty HTTP/S “organic” traffic generator. September 10, 2018 haxf4rall2017 Comments Off on Web Traffic Generator – A quick and dirty HTTP/S “organic” traffic generator.